Pratt Van Lines‘ residential moving services are not just for home owners. We are happy to help renters relocate, too. Some people may think that professional moving services are only for those with a lot of stuff to move. But it’s not about the amount of stuff you have—it’s about the value of your belongings and where they need to go. Have valuable property you do not want damaged in the move. The apartment movers at Pratt Van Lines are specially trained to carefully pack and handle fragile items and furniture to prevent any type of damage to the item or the property it is being moved from or into. Need to move up or down stairs. Moving is physically challenging without stairs. When you need to move furniture and other items up or down flights of stairs, it is best to let apartment movers with the equipment and technique to do it safely take care of the job. Hiring professional movers from Pratt Van Lines can ease the stress of your apartment relocation. 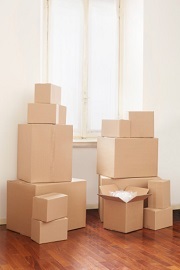 The apartment movers at Pratt Van Lines can provide as little or as much help as you need. Contact us for a quote for the moving services you need. We put our quote in writing so that you know exactly how much you will be paying. We never surprise you with unexpected charges after your move. Call 505-250-3949 for help from professional apartment movers in Albuquerque.